Harav Aaron Kotler zt'l came to the United States from Lithuania, where he founded Beis Medrash Govoha in Lakewood New Jersey. Rav Kotler was born in Śvisłač, Russian Empire (now Belarus) in 1891. He was orphaned at the age of 10 and adopted by his uncle, Rabbi Yitzchak Pinnes, a Dayan in Minsk. He studied in the Slabodka yeshiva in Lithuania under the "Alter (elder) of Slabodka", Rav Nosson Tzvi Finkel, and Rabbi Moshe Mordechai Epstein. After learning there, he joined his father-in-law, Rabbi Isser Zalman Meltzer, to run the yeshiva of Slutsk. After World War I, the yeshivah moved from Slutsk to Kletsk in Belarusia. With the outbreak of World War II, Rav Kotler and the yeshivah relocated to Vilna, then the major refuge of most yeshivoth from the occupied areas. He was later brought to America in 1941 by the Vaad Hatzalah rescue organization and guided it during the Holocaust. In 1943, Rav Kotler founded Beth Medrash Govoha in Lakewood Township, New Jersey, with 15 students. When he arrived in America, he was told that he is wasting his time trying to rebuild what was destroyed in Europe because Jewish students of college age were interested only in earning a degree that will enable them to make money and have no interest in learning and mastering the ability to understand the Talmud just for its own sake. Rabbi Kotler responded that he will "plant" Torah in America and declared this to be his life's mission. Through his yeshiva he rebuilt Torah throughout America. He would send the best of his senior students to open other yeshivahs throughout North America. By the time of Rav Kotler's petera in 1962, the yeshiva had grown to 250 students.He was succeeded by his son, Rabbi Shneur Kotler, as rosh yeshiva. As of 2011, Beis Medrash Govoha is run by his grandson, Rabbi Malkiel Kotler, and three of his grandsons-in-law, Rabbis Yerucham Olshin, Yisroel Neuman, and Dovid Schustal. By 2007 the yeshiva had grown into the largest institution of its kind in America with 5,000 talmidim, while the surrounding Lakewood community supports a network of 50 other yeshivas and over 100 synagogues for an Orthodox population estimated at 40,000. 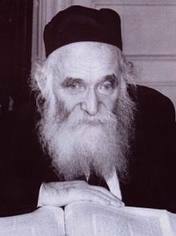 Rav Kotler also helped establish Chinuch Atzmai, the independent religious school system in Israel and was the chairman of the Moetzes Gedolei HaTorah of Agudath Israel. He chaired the Rabbinical administration board of Torah Umesorah and was on the presidium of the Agudas HaRabbonim of the U.S. and Canada.